‘If anything, I have spent my life trying not to feel Fijian-Indian, desperate to prove that my cultural identity is as ‘Australian’ as that of my white friends who grew up in the same white suburbs as me, attending the same schools…’ (41). However, she always has one eye on the broader social forces at work that have shaped her experiences and desires. Patel describes how during her childhood in the ‘90s, when Pauline Hanson’s insistent message that immigrants should ‘go back to where they came from’ was rampant across the news, she feared that the authorities would come to take her and her family away from their new Australian home (47). Similarly, Patel also reminds us that it wasn’t until 2011 that Neighbours featured its first non-white family, the Kapoors, on Ramsay Street after almost thirty years running; and that the decision was met with such opposition from Australian fans that it attracted international media attention (59). Soon after, the Kapoors were sent back ‘to where they came from’ – to India – to visit a sick relative and never returned. In No Country Woman, there are numerous physical journeys recounted – back, to, away from, around, through – though there are never any convenient disappearances from the screen, map or storyline. Rather, the experiences of movement are thoroughly picked apart. There is the story of Patel’s family’s migration from Fiji to the NSW town of Albury where Patel and her three siblings are teased, to put it mildly, for having skin ‘…brown like poo’ (93). There is a family ‘roots tour’ holiday to Patel’s paternal great-grandmother’s village in Gujarat where eleven-year-old Patel is first confronted with ‘meeting people not that different to me living in much worse circumstances’ (147), and the learning that this distress has a name: migrant guilt. There are also interstate day-trips to purchase salwar kameez in the Indian streets of Western Sydney’s Liverpool that elicit a different kind of shame, and encapsulate the ‘unspoken conflict between the two halves of my self’ (52); teenaged Patel trails behind her chirping mother and sisters unable to fully participate in their merriment. Patel chooses, however, to begin the collection, in the title essay ‘No-country woman’, by detailing her first trip back to Fiji after many years absence as a twenty-eight-year-old adult. Uncomfortably, she travels with a tourist party and her white male partner, in order to attend a wedding at a ‘paradise island’ resort. The only non-white person, other than the kaiviti staff dressed in grass skirts, she feels as much a sense of injustice as she did in India. Afterwards, when she and her white partner – a union considered scandalous in South Asian cultures (12) – spend some time in Nadi, Fiji’s capital, Patel is challenged about her Fijian-Indianness by a local she meets on the street. She comes to realise that she doesn’t belong there in Fiji, either – and here lies the premise of the book. Patel is a no-country woman, always asking herself the question (and fielding the same from others): Where do I really come from? Where is my place? How and where do I fit? Another ‘journey’, or trajectory, examined in No Country Woman, and perhaps one of the most important, is Patel’s engagement with feminism – as a migrant and person of colour. Many readers will know that Patel is the also the founding editor of the online feminist literature and arts journal, Feminartsy, and was previously the editor of Lip Magazine, another Australia-based feminist publication – these passages are detailed in the book. Patel’s dedication to and exploration of feminism has been lengthy. But for a teenaged Patel growing frustrated with the gender norms within the Fijian-Indian community – ‘the parts…that made me feel that perhaps women weren’t valued as highly… as in my immediate family’ (82) – there didn’t seem to be much in the way of easily accessible literature to help her navigate the terrain in a way that fit with her day-to-day realities. Most of it was ‘…targeted at middle-class white women’ (214). The concept of raunch feminism, for example, felt alienating; Patel writes: ‘…I was still trying to determine whether my body was mine to dress in jeans and a normal t-shirt that didn’t entirely cover my bum’ (215). On the flip-side, Patel reasons that for the Fijian-Indian community in Australia, like many migrant communities, the wellbeing of the group is ‘…considered more important than individual freedom’ (105) – and is a valuable position, too. 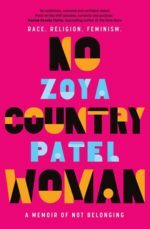 Patel is at pains to add that she doesn’t want people to think talking about issues of gender inequality in Indian culture means that she favours Australian culture or sees it as progressive or culturally superior (209) – ‘Women in the West are certainly less visibly confined by gender norms, but the patriarchy is insidious, and it’s usually what you can’t see that you should be paying attention to’ (208). Rather, in No Woman Country, Patel wants to open up and make space for healthy discussion about intersectionality, the valid variances in the lived experiences of all women and feminists. Certainly, conversation with friends – ‘almost exclusively with women…’ (116) – and years of mulling over cultural identity issues together have been imperative to the writing of and thinking through the ideas in No Country Woman (261). In perhaps one of the most moving essays in the book, ‘Kindred Spirits’, Patel traces one particularly influential female friendship from the first year of high school to the present day. Patel writes that she and Melissa, who happens to be white, ‘graduated from one obsession to another’ (97) – from ‘… horses and Harry Potter… to zines, writing… indie rock music, manga… vegetarianism, animal welfare, backpacking through Europe and, most recently, dog memes’ (97). In the spirit of mutual generosity and support, as young women they dared to dream about their future selves and careers. In fact, in year nine they both completed a week of work experience at Lip; the year was 2004 and it was a time when there was ‘…nothing more lame than feminism (100).’ Still, Patel writes that Melissa was ‘the person who, in some ways, introduced me to myself’ (97), and to an identity that saw past ‘notions of race, or gender, or purpose (116).’ Patel goes on: ‘Together, we bridged a divide that had been constructed from centuries of racial prejudice that assumed our skin colour made us so fundamentally different that our friendship would taint both of us (116)’. No Country Woman reads as though a friend is sharing some of the most important and intimate things about her life. Thoughtful, well-researched, straightforward and often funny, the book sits closely in ‘friendship’ to other contemporary books such as Maxine Beneba Clarke’s The Hate Race, Alice Pung’s Unpolished Gem and Durga Chew-Bose’s Too Much and Not The Mood. The collection will appeal to a wide audience, including first, second and even third generation migrants, as well as those interested in the subjects of race, identity and intersectional feminism in contemporary Australian culture. TAMARA LAZAROFF is a Brisbane-based writer of short fiction and creative nonfiction. 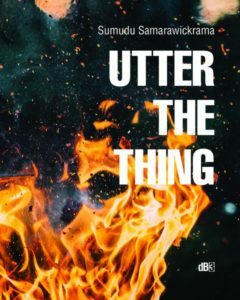 She has a particular interest in hidden histories, the migrant experience, feminist and queer themes, oral storytelling traditions and celebratory stories of social interconnectedness.